New Delhi, Sep. 22 : It is heartening to know that 103 crusaders at Kudankulam, who staked their lives during the indefinite fast have withdrawn the same after 12 days, while the struggle itself continues to march ahead of this first victory. It is also appreciable that the Chief Minister of Tamil Nadu who held a dialogue with the people in agitation and has taken a position against continuation of the nuclear power plant as indicated through her letter asking the centre to stop the work. The State of Tamil Nadu should save itself, its own people, fish workers and farmers from any future disaster, something which it witnessed during the colossal calamity of Tsunami. The State Cabinet’s decision and resolution, if necessary on the floor of the Assembly, needs to follow. The Centre, though acting late, sent Mr. V Narayanaswamy, Minister of State, PMO, after our dialogue with the central Ministers as well as Narayanaswamy himself. The struggle made it possible that they too had to take the people’s views and sentiments, especially with regard to safety, into consideration. ‘Safety above energy’ should mean a complete review of the nuclear projects as well as the policy itself, declaring suspension of work on plants like Kudankulam, where the project is pushed ahead without people’s consent and due consideration of the severe impacts on live and livelihood, including land, water and fish. The MoEF should also record that there has been no proper public hearing conducted for Unit – I & II of Kudankulam NPP, an secretive attempt was foiled in 2006, which was later ‘said as complete’ in 2007 without recording people’s objection and resistance to the whole plant. We salute the courageous and committed people, women and children at the forefront, with the physically challenged who were also on fast. We also congratulate the collective leadership in Kudankulam which must continue with unabated unity, rising above party politics and with continued commitment to the cause. The National Alliance of People’s Movements will always support and join you whenever needed. We will surely raise the issue at the national and international fora. NAPM is also in the process of constituting a People’s Commission of Inquiry to investigate the nuclear plants and policy in India, with your consent and participation. The world has witnessed, suffered and is more than aware of the threat of nuclearization and is coming out of the hazardous and disastrous form of energy. India must aspire to become not a nuclear superpower, but a democratic super power, for which we all must continue to strive and struggle for. Around 8,000 complaints pertaining to the public distribution system, registered with respective rationing offices in the state, have been lying unattended for more than a month now. To make matters worse, when the rationing controllers were informed about the apathy of the local rationing officer, they either chose to be indifferent or responded rudely, alleged office bearers of the Movement for Peace and Justice (MPJ), a socio-political organisation working for improving the public distribution system (PDS) in the state. 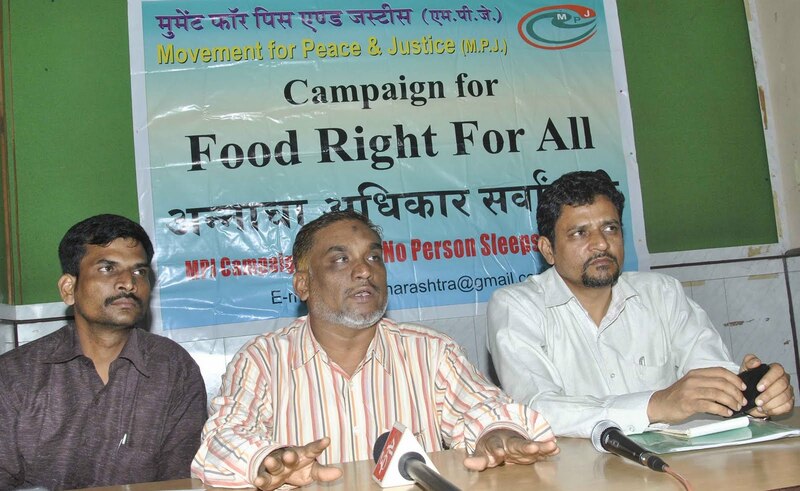 The organization launched 'food right for all', a two-month-long statewide campaign from May 15 to July15. During the campaign, MPJ volunteers created awareness about rationing rights and ways to register a complaint, if their rights were being violated. MPJ volunteers helped people file complaints related to rationing shop at their respective rationing offices. "Most of the complaints pertain to poor quality or non-availability of food grain, rationing shop not being open at scheduled time and so on. We are currently focussing only on ration shop related complaints, but if the concerned officials fail to take action, we will also complain about rationing officers," said Mohammad Siraj, president, MPJ, Maharashtra. The organisation also requested state food minister Anil Deshmukh to meet them almost 10 days ago, but have not received any response. "We approached almost all authorities concerned to discuss the deteriorating PDS in the state, but none of them paid heed. 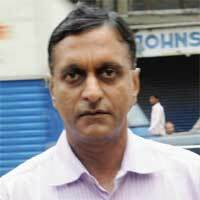 We will pursue this matter or else file a public interest litigation," said Soheb Lokhandwala, media secretary, MPJ. When contacted, Deshmukh said, "I was travelling when they approached me. They can meet me next week." Ashwini Joshi, controller of rationing, director of civil supplies, Mumbai-Thane rationing area, said, "MPJ visited my office with photocopies of 200 complaints. We cannot accept photocopies, but I requested them to submit the bunch so I could route them to their respective rationing office." MPJ is a Socio-Political organization which works for the general betterment of the society. It has taken two years as a long term activities of poverty alleviation to remove Aam Admi's burden of ignorance and poverty. 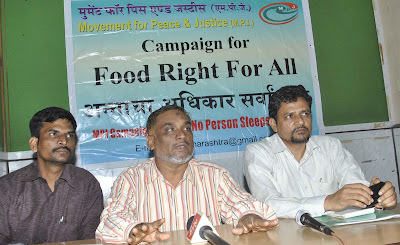 For this MPJ had launched a campaign called “Anna-cha-Adhikaar Sarvansaathi or ‘Food right for all’ throughout Maharashtra from 15th May 2011 to 15th July 2011 emphasizing on strengthening the Public distribution system (PDS). PDS evolved as a major instrument of the Government’s economic policy for ensuring availability of food grains to the public at affordable prices as well as for enhancing the food security for the poor. The Planning Commission wants to fix poverty line of Rs.20&Rs.15 for Urban & Rural and also the cash transfer instead of Food, how can a person survive on meager Rs.20/- per day in financial capital Mumbai? This is serious issue which shows a breach of Food security in turn has lead to severe malnourishment dead and hunger in our State and entire country. MPJ has collected nearly 8000 complaints from the campaign regards to Fair price shop (FPS). For awareness it has distributed 5 lakhs handbill, 25000 posters, 12 workshop, 2000 corner meets, 25 large Jan-sabhas(Public meet) throughout Maharashtra.A Jan-sunwai has held in Bhiwandi too. After receiving complaints we have made aware the same to Ministers, District collector, Officers related to departments to take action and cognizance of the same. So far we have received a very cold response from Govt authority where we see a large scale corruption& leakages involved in PDS system& injustice meted towards its poor citizenry. We see the inefficiency in implementing the very PDS system and taking action against errant FPS owners. We urge the Food Minister of Maharashtra should immediately look into the matter and take necessary action. We demand Justice Wadhawa report to be implemented to stop leakages and strengthen PDS system. On 13th Dec.2010 there was report of 16 children death due to malnourishment in Mumbai, Rafiqnagar, MPJ had surveyed and made the fact finding report the same has being filed as a PIL in court. We from MPJ give clarion call to citizens of all age groups, activist, and media persons to support and participate whole-heartedly in the campaign to alleviate poverty. GENEVA, 15 September 2011 (VIETNAM COMMITTEE) - Speaking on behalf of the Vietnam Committee on Human Rights (VCHR) and Agir Ensemble pour les Droits de l’Homme at the UN Human Rights Council in Geneva today, Mr. Vo Tran Nhat called on Vietnam to cease recent repression of peaceful demonstrations, release all demonstrators still under detention and repeal anti-demonstration laws that contravene Vietnam’s international obligations under the UN Covenant on Civil and Political Rights. He also called for a visit to Vietnam by the UN’s new Special Rapporteur on the Rights to Freedom of Peaceful Assembly and of Association, Mr. Maina Kiai. Describing unprecedented demonstrations that have taken place in Hanoi and Ho Chi Minh City (Saigon) since June 5th 2011 to protest Chinese incursions into Vietnamese territories and waters, and to denounce the submissive attitude of the Hanoi government, Mr. Vo Tran told the UN Human Rights Council that dozens of people in Hanoi had been arrested, and Police continue to threaten protesters with severe reprisals if they take to the streets again. A ban on demonstrations announced by the Hanoi People’s Committee on the grounds that they were “incited by hostile forces” has sparked off strong public discontent. On 18 August, 25 prominent Hanoi intellectuals, including academia, Communist Party members and military veterans sent a Petition to the government, and 10 others filed an indictment against the State-controlled TV and Radio, stating that the protests were by “patriotic Vietnamese”. Calling on Vietnam to urgently abrogate Decree 38 and its Implementation Directive which prohibit gatherings of over five people outside public buildings, Mr. Vo Tran said: “As the new UN Special Rapporteur on the Rights to Freedom of Peaceful Assembly and Association begins his mandate, it is vital to inform the UN Human Rights Council that, at this very moment, these fundamental rights are being gravely and systematically abused in Vietnam”. Agir Ensemble pour les Droits de l’Homme and the Vietnam Committee on Human Rights warmly welcome the appointment of the Special Rapporteur on the Rights to Freedom of Peaceful Assembly and of Association, Mr. Maina Kiai. The rights to freedom of peaceful assembly and association are fundamental and inalienable rights, enshrined in Article 21 of the UN Covenant on Civil and Political Rights. Yet in many countries in the world, these rights are gravely abused. We are particularly disturbed by the suppression of peaceful protests in the Socialist Republic of Vietnam, where over the past three months, a series of unprecedented demonstrations have taken place. From 5 June to 21 August, demonstrators have gathered every Sunday in Hanoi and Ho Chi Minh City to protest incursions by China into Vietnamese territories and waters, and disputes over the sovereignty of the Paracel and Spratly Islands in the South China seas. These protests began after Chinese patrol boats harassed Vietnamese ships conducting a seismic survey in Vietnamese waters in May 2011. The demonstrations were initiated by young people who used text messages and blogs to convene the rallies and bring together prominent intellectuals, former Communist party veterans, artists and students. They specified that these protests would be orderly and nonviolent, in conformity with the right to peaceful demonstration enshrined in the Vietnamese Constitution (Article 69). However, in spite of these constitutional guarantees and Vietnam’s binding international obligations as a state party to the ICCPR, Vietnamese Police and authorities have stifled these peaceful and legitimate protests. On 5 June, Security Police intercepted monks belonging to the Unified Buddhist Church of Vietnam (UBCV) and surrounded the Thanh Minh Zen Monastery to prevent UBCV Patriarch and prominent dissident Thich Quang Do from attending the rally in Ho Chi Minh City. On 17 July, Police clamped down brutally on the demonstration in Hanoi, detaining scores of people in their homes and arresting at least 10 people. One man, Nguyen Chi Duc, was held by the arms and legs as a Policeman stamped on his face. On 18 August, the Hanoi People’s Committee issued an order to “end gatherings, demonstrations and spontaneous marches”. It warned that people who did not comply with the order would be punished. 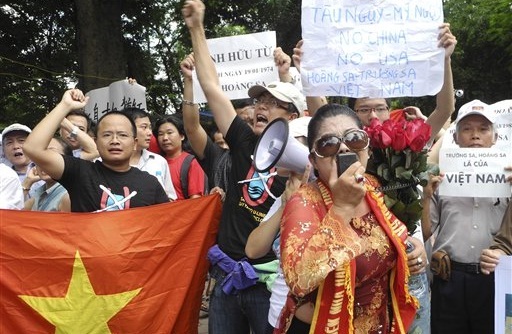 The order sparked off strong protests in Vietnam. On the same day, 25 prominent Hanoi intellectuals, including economists, bloggers, a former vice-minister and a retired general (Nguyen Trong Vinh, Nguyen Quang A, Nguyen Ngoc, Nguyen Hue Chi, Le Dang Doanh, Nguyen Xuan Dien, Trinh Kiem Tien, etc.) sent a Petition to the Hanoi People’s Committee denouncing the order as “illegal and unconstitutional”. On 5 September, a group of 10 intellectuals filed a law suit against the State-controlled Radio and TV for reporting that the protests were “incited by hostile forces”, stressing that they were “peaceful demonstrations by patriotic Vietnamese”. 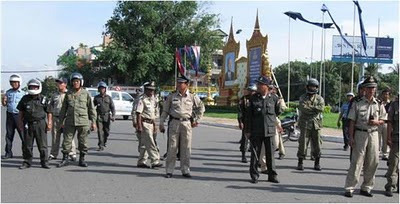 When the protests continued on 22 August despite the government ban, Police cracked down heavily. 47 demonstrators were arrested. Although most were later released, a number are reportedly still under investigation. All demonstrations have been forbidden since then and Police have systematically visited the homes of all former protesters, threatening them with reprisals if they take engage in public protests again. On 28 August, after a meeting with the Chinese Defense Minister in Beijing, Vietnamese Deputy-Minister of Defense Nguyen Chi Vinh, announced that “we will strongly sanction any gatherings or rallies in Vietnam. We will not let this happen again”. This is not the first time Vietnam has arrested demonstrators and crushed legitimate peaceful protests. We are particularly alarmed about the case of blogger Nguyen Van Hai, alias Dieu Cay, who is currently detained under charges of “propaganda against the Socialist Republic of Vietnam” for staging peaceful demonstrations. He is currently detained incommunicado, and Police informed his wife recently that he has “lost his hand or arm” in prison. Dieu Cay was recognized by as a victim of arbitrary detention by the UN Working Group on Arbitrary Detention (Opinion 1/2009). Moreover, Agir Ensemble pour les Droits de l’Homme and the Vietnam Committee for Human Rights are deeply concerned that Vietnam is not only using state coercion to repress peaceful demonstrations, but that it has adopted anti-demonstration laws in flagrant contradiction with its obligations under the ICCPR. Decree 38/ND-CP, adopted in 2005, prohibits demonstrations outside state agencies and public buildings and bans all protests deemed to “interfere with the activities” of the state. The “Directives for the Implementation of Decree 38” issued by the Ministry of Public security in 2006 prohibits gatherings of more than five people without permission from the state. We call upon Vietnam to promote and protect the right to peaceful demonstration and release all demonstrators who are still detained; to bring its domestic legislation into line with international standards by abrogating Decree 38 and adopting a law which fully guarantees the right to peaceful assembly; and to invite the Special Rapporteur on the Rights to Freedom of Peaceful Assembly and of Association to visit Vietnam at the earliest possible opportunity. Village, commune and district authorities together with police armed with AK-­‐47s today, 7 September 2011, intervened to disrupt a human rights training event organized by the Cambodian Center for Human Rights (CCHR) and the Natural Resource Protection Group (NRPG) in Mean Rith commune, Sandan district, Kampong Thom Province threatening to arrest the organizers if the event proceeded. While no arrests were made, officials and police photographed individuals seeking to participate in the event – all of whom are community members affected by the ongoing destruction of Prey Lang forest or other land conflicts – as well as organizers of the event and individuals who had attended the event in an observation capacity. The training event was the first to be held by CCHR and NRPG following a media report in The Cambodia Daily on 6 September which quoted Kampong Thom provincial police chief Phan Sopheng accusing CCHR and NRPG of inciting people through the provision of human rights training and threatening to seek the suspension of both organizations in the event that further training events were conducted. On 6 September, the chief monk at Wat Kiribotaram, under pressure from commune and district level officials, withdrew the permission he previously granted CCHR and NRPG to use the pagoda for a training event on 8 September in Dang Kambith commune for another community affected by the destruction of Prey Lang. This morning at 8.30am, staff from CCHR and NRPG arrived in Mean Rith commune to prepare the venue for today’s training event. The training was organized in response to information from community members that deforestation activities in the area had increased of late. In total, 34 participants registered to take part in the training although organizers were informed by participants that others had been stopped from traveling to take part in the event. Shortly after the venue was prepared, officials and police arrived and informed CCHR and NRPG that if they were to proceed with the event they would be arrested. Commune and district officials stated that the organizers had failed to provide adequate notice of the event, despite the Law on Peaceful Demonstrations providing that no such notice is required for “education dissemination activities” including training events and notwithstanding the fact that the organizers had nevertheless informed the provincial authorities of the event in writing. Under the direction of deputy governor of Sandan district, Div Hok, police photographed all participants who had registered for the event as well as the organizers and observers from The Cambodian League for the Promotion and Defense of Human Rights (LICADHO) and The Community Legal Education Center (CLEC). 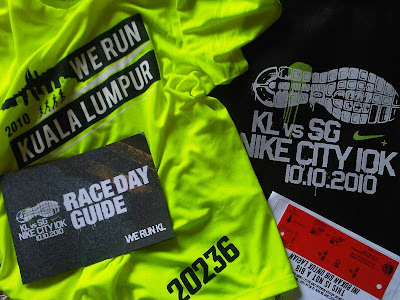 Div Hok requested that the organizers provide identity cards of all participants and observers. This request was denied. After a two hour stand-­‐off between the authorities and the organizers, the event was eventually allowed to proceed following discussion with Sandan district council member Uch Bunhy. The people of Koodankulam, Idinthakarai and other neighboring villages decide to withdraw from the ongoing “peace” process and resume their peaceful, nonviolent Gandhian satyagraha by holding a massive hunger strike on September 11, 2011 at Idinthakarai in Tirunelveli district. The “Peace Committee” constituted by the people of Radhapuram Taluk in Tirunelveli district has been engaging in a dialogue with the authorities regarding their demand of closing down the Koodankulam nuclear power plants. 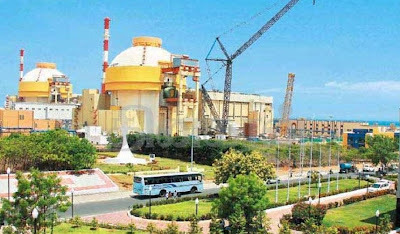 But Atomic Energy Commission Chairman Dr. Srikumar Banerjee has announced that “one of the two [Koodankulam plants] would attain criticality by September and the second by early 2012” as reported in some sections of the press. This is a clear violation of the ongoing process. We are afraid that the government is secretly trying to open the Koodankulam plants even as they are talking to us about closing down. The people of Koodankulam, Idinthakarai and other neighboring villages are very happy and grateful that Mrs. Brinda Karat, a senior leader of the Communist Party of India (Marxist), has said that “her party would support any agitation against nuclear power plants, such as the one going on in Tirunelveli against the Koodankulam nuclear power plant.” We also welcome her call to put on hold all nuclear power plants in the country as they lack adequate safety measures. We would like to thank Arundhati Roy, Indian writer and activist, for mentioning our struggle in her recent op-ed article; Australian Greens Senator Scott Ludlam for supporting our struggle in his address to the Australian Senate; and the Ecodefense in Moscow for expressing their solidarity with our struggle. They have said: "Technical flaws of Russian VVER-1000 design may lead to nuclear accident. 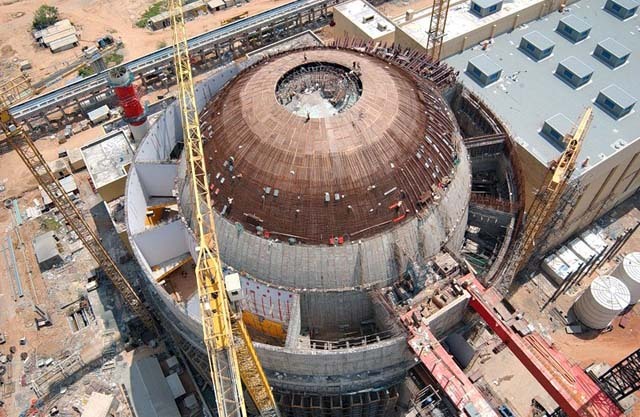 …’Rosatom’ earlier stated it will not build new reactors if there is public opposition. This is the time to follow this statement with action." We are inviting some of the leading social activists of India such as Anna Hazare, Medha Patkar, Arundhati Roy, Swami Agnivesh, Shabana Azmi, Vandana Shiva, Aruna Roy and others to come and participate in our struggle and help us build a New India that respects Indian citizens’ rights to life and livelihood and make our country a world leader with New Energy, appropriate technology and sustainable development. We are also appealing to the MPs and MLAs from Tirunelveli, Kanyakumari and Thoothukudi districts and the leaders of all political parties in Tamil Nadu to come and help us protect our land, water, air, sea, seafood and most importantly, our children and grandchildren. We earnestly hope that they would respect the lives and values of the Tamil people who are facing huge risks in Koodankulam, Kalpakkam and Thevaram in Theni district as we are getting ready to choose our local body representatives. Non Gun-Ri International Peace Foundation hosted the 5th No Gun-Ri Human Rights and Peace Camp for World University students from August 16th to 19th, 2011, at the Yeoundong University, South Korea. The event was kicked off by Prof. Chung Koo Do, Director of No Gun-Ri International Peace Foundation, who was followed by International delegates paying tribute to the victims at the site of the massacre. Many Koreans hoped that the US would be their savior from communist attack, but Korean civilians suffered badly from attacks by US troops during the course of the Koreans War. To date, no official reason for the massacre has been given and it remains an unsolved tragedy. At the time of the incident Mr. Kyeung Go Oh, a survivor, was 13 years old. He said, US troops came there and forced people including children to get out of the area. They were pushed down into the valley. Around 500 people were forced out this way. They went under the twin train’s tunnel bridge because the road was blocked by US troops. The troops deliberately pushed them into small spaces several times, and made sure that nobody was left out. People hid under the tunnel bridge for 3 days without food. Unfortunately, the American troops were ordered to shoot them if they tried to leave and when two children were running around they were fired upon and killed. Subsequently, the US air strike took place around them and bombs were dropped over the area. During the bombardment they couldn’t see what was happening. But after 20 minutes the incident was over and the US soldiers were gone. The survivors found the dead bodies of the victims including children and their mothers. 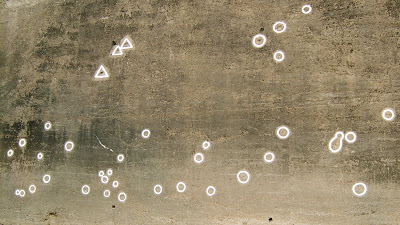 Everyone in the tunnel was killed, Mr. Oh lamented. 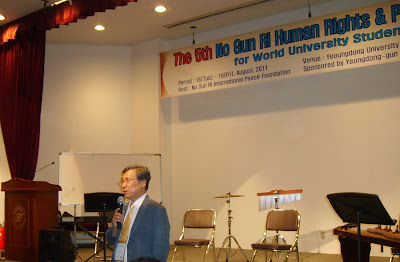 At the lecture Prof. Chung Koo Do said the No Gun-ri incident has been studied for 16 years. The No Gun-ri incident was the first of its kind to be widely reported by the Associate Press in 1999. Although AP started to investigate this particular incident there are 100s of similar incidents which the US might hesitates to accept and could easily rejects. However the US did promise to investigate the No Gun-ri incident. From 2001 the US started investigating the No Gun-ri incident and ultimately President Clinton apologized. It took 50 years for an apology to be made by a US official. At the same time Clinton offered assistance in creating a memorial park and building, and in funding scholarships for the victims’ families. However, the survivors refused the offer because the US had not fully investigated the incident yet. They also felt it was not appropriate for them to accept the scholarships when other victims of similar incidents were not offered the same. By telling the world about the truth of the incident the survivors want to give a lesson to the US. Prof. Do said Human Rights are not free for everyone without some effort. Now the South Korean government is trying to develop a small memorial and a museum at the massacre site as well as giving compensation to survivors. During his address Prof. Do reminded again and again that No Gun-ri activists are not anti-American. The reason for the killing, the US argued, was because they had crossed the top war border line. The site is also near to Daejeon city, where the US army was based. Another important point is that the border line was where North Korean troops were approaching. The area was of strategic importance because from there it is easy to go on to Busan and other parts of South Korea. Almost all the troops involved in the incident were American but there were also a few Korean troops based there. The war was ongoing and North Korea was attacking the South Korea at the time. However, neither the US nor South Korean government have yet responded with detailed information to explain the massacre. Similarly, the US did not officially apologize for massacres that occurred in Vietnam. Some of the survivors of the Korean massacre have been left handicapped. Bae Soo Young is another survivor. He said the survivors didn’t receive any compensation from the South Korean or US governments. Dr Jun Nam Sik said at the lecture that AP’s report has angered a lot of Korean people. He feels that Korean people need to keep an open mind regarding the incident. At the time, they lived in the age of anti-communism. They fear it will now become anti-Americanism and could harm the ties of the two alliances. Before the AP report, there had been some other reports but none as popular. One obstacle for the media is that South Korea had no freedom of speech at the time the massacre occurred, he pointed out. Multi-national corporations have the backing of governments and certain judicial systems. All they care about is increasing profits to keep their shareholders happy. Please have a look at these YouTube videos and see how a peaceful community in Pahang, Malaysia is being slowly poisoned but neither the company, government nor judiciary care about their plight. This is not the first case in Malaysia nor will it be the last. With government and judicial backing, the companies feel powerful and free to oppress ordinary defenseless folk and destroy the environment. 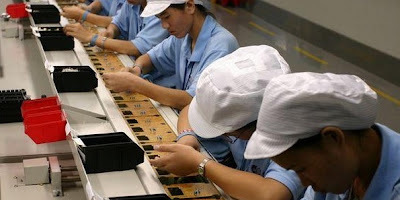 Multi-national companies are free to do things in this country that they are prohibited to do in their home countries. This is also a violation of human rights that seems to be indirect genocide. This can happen in any developing country that depends mainly on foreign investment. Multi-national investors seem to lose their ethics once they leave their countries of origin. Developing countries' governments needing their investment for economic growth decide to sacrifice the welfare and health of their own people and go all out to please or appease foreign investors. This is a global problem for all people in developing countries. Multi-national corporations 'rule' them indirectly with the help of their own governments and legal systems. Should we allow this to continue? This is how multi-national corporations aid in oppression and destruction of countries and people world wide. It has happened in Asia, Africa, Latin America and more and continues unabated globally. Please help to remove such power from the hands of multi-national corporations that continue to destroy human life and the world's environment for their own enrichment without remedying the damage they do to our lives and environment. New Delhi : Anna Hazare Ji and many others across India will be starting their fast from August 16th in Delhi demanding an effective Lokpal. NAPM supports the people’s movement for a corruption-free India and urges the citizens of the country to plunge into this struggle. NAPM, along with other organisations is holding relay fast, human chains, public meetings and other programmes, in Chennai, Pune, Mumbai, Narmada Valley, Hyderabad, Guwahati, Bhubaneshwar, Bangalore, Mysore, Mou, Balia, Allahabad, Muzzafarnagar and other places. We urge our members and supporters to join this call and challenge the corrupt and defensive governments at the Centre and the states. We strongly disapprove of the way in which government has been trying to put severe restrictions on holding peaceful protests in the capital, and Delhi Police under the garb of implementing the Supreme Court’s Guidelines is imposing unnecessary conditions on protests, as it did early this month on SANGHARSH anti-land acquisition protest, AISA-DYF anti-corruption protest and others. For an independent democratic country like ours, imposition and insistence on police permission and strict guidelines for holding peaceful protests and Sataygraha seems completely contradictory and only shows shrinking spaces for democratic freedom of expression and curb on fundamental rights of its citizens. The public outrage at the scandal-a-day record of Governments of all political hues whether it is the Central Government or that of Maharashtra, Karnataka, Bihar or others and the groundswell of support to concrete action culminating in the Lokpal debate is a welcome sign for our democracy. This is an opportune moment for effective systemic measures to deal with both 'bhrashtachar' and 'atyachaar' (corruption & oppression / systemic violence) at all levels. The powers-that-be (not just Governments but businesses, corporations and other entities too) must defer to public opinion, as people do not only have a 'vote' but also a 'voice'. 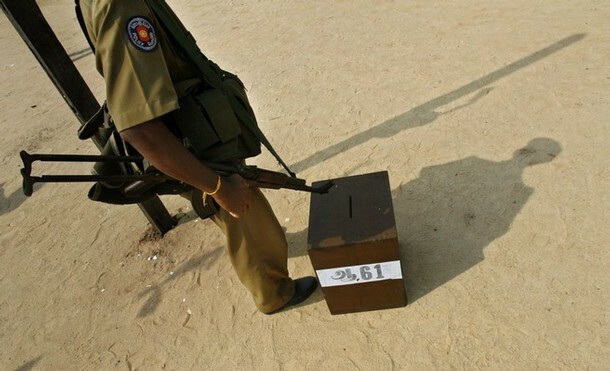 Governments cannot use the excuse that 'being elected’; it is the only agency with legitimacy. We are conscious that the campaign for an effective Lokpal against corruption is not a full and final solution to all that ails our country today. It should be viewed as part of an ongoing process that can be built upon by various groups using myriad democratic styles, strategies, issues and foci. The raising of consciousness can only benefit democratic processes and hopefully constructive engagement will broaden the agenda of the current campaign to include issues of governance, secularism and most important communities control over jal (water) jangal (forests), jameen (land), khanij (minerals) and of course, mehnat (hard work) of the toiling masses, who are the actual contributors to this nation’ s development . We also recognize and re-stress the reality that it is this large section of the Indian population; the gareeb, shoshit, peedit, shramik that faces the brunt of corruption most, day in and day out, in their battle for survival with dignity and we need to reach out to them. We can’t limit corruption only in monetary terms, but deal with it in terms of the systemic oppression, inequity and inhumanity perpetuated by political and non-political entities all. 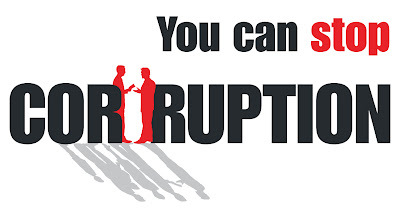 We are of the strong view that the battle against corruption is located within the wider struggles against corporatization, capitalism, communalism, casteism, patriarchy, criminality and consumerism which are challenges that any well-meaning, truly democratic public platform must address. NAPM along with many of its struggling comrades and supporters has been at the forefront of the struggle against corruption, exposing the fraud in rationing in Assam, rehabilitation in Narmada Valley, and irregularities in Lavasa or Adarsh Housing Society among many others. Our struggle is against the loot of natural wealth and human dignity by corporations and state under a destructive and completely unsustainable development paradigm. We hold that the Lokpal bill drafted by the Government is toothless and defeats the very purpose it is meant for. We believe that any law to deal with corruption must be comprehensive and provide for expeditious action and deal with corruption not only at the higher executive level but also at mid and lower levels and bring in politicians and corporations too in its ambit. Action at this moment can help deepen our discourse and enlarge the scope of campaign to encompass issues such as governance, development planning from the grassroots, opposition to violent and oppressive development projects, secular ethos etc. The Lokpal Bill is with the Parliamentary Standing Committee and we appeal to the people of India to submit their opinions on the Bill, which will have to radically address many of the gaps in the present Government Draft. NAPM calls upon the Government to pay heed to the diversity of voices and respect the evolving public opinion to introduce a series of fool-proof, effective anti-corruption measures and pass a strong Lokpal Bill, dealing with corruption at all levels, after holding participatory and wide-spread consultations. We also call upon the people of India to take forward this struggle against corruption in whatever democratic way possible, by respecting the plurality and diversity of the country. ‘LAND ACQUISITION’ is the key issue on the political agenda, today along with ‘corruption’. For the common people and the communities living on the natural resources and human power, it certainly is the most important reason for their battle for survival. ‘Land and everything attached to the land’ was declared as the state’s property under the principle of eminent domain (1894 Act) and hence available for forcible acquisition, for government projects in the name of public purpose. Since 1984, the sovereign governments of India used it for acquiring land for private companies too and thereby launched and legitimized an unjustifiable war against the agrarian communities, habitats in the urban and rural habitat areas and also began an unprecedented transfer of minerals and aquatic wealth from the public to the profiteers. All this has led to intense struggles by the adivasis, dalits, farmers, fish workers, toiling masses and all who are deprived, displaced and victimsed in the name of development. From August 3rd to 5th, NAPM along with nearly 50 mass people’s organisations from more than 10 states participated in the national action organized under the banner of SANGHARSH [see http://sangharshblog.wordpress.com/ for details]. We met in the backdrop of new Draft Land Acquisition, Resettlement and Rehabilitation, 2011 brought out by the Ministry of Rural Development, which is seeking feedback from citizens, till 31st August. This draft claims to be a result of martyrdom and committed battles of the communities which has held on to their land and prevented the capitalist forces marching over them. However, the Bill fails to address the core concerns of the communities and their reasons for resisting the current development paradigm, even though it does have some progressive provisions providing relief to the project affected people. We The People, are demanding a Development Planning Law NOT an acquisition law, which means ‘to acquire; to take control’ and experience shows it has always been forced, without complete prior information, consent and knowledge of impacts of the communities who own it or are dependent on it for their livelihood. The complete paradigm has to change and since the Bill tries to address the development needs of the country, let people plan and decide the kind of development country needs. We conveyed to Honourable Minister Jairam Ramesh our larger concern on these issues but also stressed that government / public projects have been the biggest defaulters and Gram Sabha and Basti Sabha consent is must for public projects too and, similarly the new Bill have to address unfulfilled resettlement and rehabilitation entitlements of already displaced people due to various projects when the Sangharsh delegation met with the new Minister, Shri Jairam, Ramesh on August 4th and subsequently on August 7th. We welcome his recent statement that the new Bill would be applicable with retrospective effect and also the consent would be sought from the project affected people for government projects as well. However, we would like to reiterate that our struggle is to protect land and livelihood rights of the millions of the natural resource based communities and not to facilitate acquisition for mindless 8-10% growth obsessed development paradigm. We have struggled along with many movements in the country for establishing the community control over jal (water) jangal (forests), jameen (land), khanij (minerals) and of course, mehnat (hard work) of millions that recasts all of this into ‘development’. As we continue to do so, we also feel that the laws which facilitate transfer and acquisition of these resources in the hands of private and public corporations for profitable exploitation need to be resisted and every struggle geared towards changing them and making them a tool for our struggle. 1. FOCUS on development planning means planning which is based on the principles of equity, minimum need and distributive justice and the plans must evolve from lowest unit plan, keeping in view the role of gram sabha / Basti Sabha as provided under the Constitution in the article 243 or under the 73rd and 74th Amendments. · EXPLORE options with no displacement or least displacing alternatives to projects for truly public purpose. · PROTECT land and livelihood rights in rural and urban areas both and stop all diversion of agricultural land and no acquisition for profiteering and private interest of anyone in the garb of public interest. · NOT IMPOSE new projects or plans on a community or their land, water, forest and minerals acquired unless their free, prior and informed consent is obtained. · NOT CAUSE further displacement without prior and complete resettlement and rehabilitation of the project affected people with housing, civic amenities and alternative livelihood. · NOT LEAD to irreversible environmental degradation and any inevitable environmental impacts must be fully assessed beforehand and plans for mitigation of the same be formulated, approved and executed in a timely manner. The draft Bill is open for comments till 31st August. It is in this context that all the participating organizations at the Sangharsh dharna, New Delhi have decided to take up the following programme with utmost urgency, fullest possible mobilization in spirit and strength. We urge our members and supporters to join this call and collectively bring our efforts together. 2. INITIATE IMMEDIATE DIALOGUE on the theme of new bill and our visions inviting people’s organizations, concerned citizen’s groups, researchers, activists and other intellectuals in your state. 3. SPREAD OUR VIEWS through magazines, news papers or any other media. 4. JOIN IN THE PROGRAMMES being conducted on the theme by other organisations and explain our position on this. 6. As decided in Delhi, we also call upon all our associated organisations to organize BHUMI HAQ SATYAGRAHA on August 25th and assert our claim to land, water, forest, minerals and aquatic wealth which is lying vacant and not allotted to the needy and demand a total change in the development paradigm towards ‘PEOPLE’S RIGHTS TO PEOPLE’S RESOURCES’ thereby acknowledging people’s development plans with those resources. Meanwhile, a small team comprising of many of the constituents of Sangharsh collective are working on developing more detailed critique of the Bill, which will also take in account the concerns we are constantly receiving from different movements and individuals. We are standing at an important juncture of our struggles, resisting displacement and claiming land and livelihood rights and we all need to put together our collective strength towards a comprehensive development planning bill. Every input of yours will pool into the national voice & vision for people’s centered real development. A court in Bangkok on 10 August 2011 sentenced a torture victim to two years in prison for having spoken out against his alleged torturers. 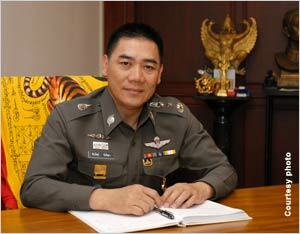 Police Major General Chakthip Chaijinda brought the criminal complaint (Black Case No. 2161/2552) against Mr Suderueman Malae, one of the clients of forcibly abducted and disappeared human rights lawyer Somchai Neelaphaijit. 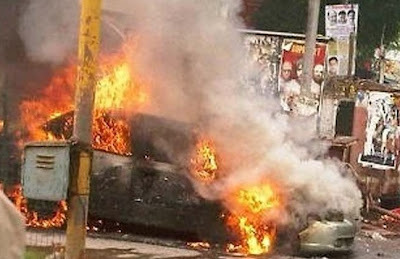 The police major general claimed that he was falsely implicated in the torture of Suderueman and a number of other men. The basis for his denial of involvement was in part that although he had been listed as heading up a unit responsible for the arrest and detention of Suderueman in February 2004, he had not actually been present at the time. In other words, the police records of the case were themselves at very least inaccurate, and possibly fabricated. The policeman reasoned that for this reason he could not be held to account. The Asian Human Rights Commission has followed this case closely and is aware that Pol. Maj. Gen. Chakthip apparently had no firm evidence to prove his claim that he had not been present when the record showed that he had; however, although the Criminal Court in Bangkok found his explanation odd, it seems to have taken his word for it. The court found, in part on the basis of an investigation of the National Anti-Corruption Commission into the case, that there was no evidence to support the complaint brought by Suderueman against Pol. Maj. Gen. Chakthip. Consequently, the court convicted Suderueman and sentenced him to the jail term under sections 173 and 174 of the Criminal Code, for maliciously giving false information to inquiry officers, even though no evidence exists to show that the naming of Chakthip was in any way malicious. The Asian Human Rights Commission unreservedly condemns this ruling, for the following reasons. Suderueman and other victims of torture whom Somchai had been representing at the time that Royal Thai Police abducted and presumably killed him on 12 March 2004 testified under oath in court on 28 March 2005 that they had been tortured. The manner of torture included electrocution, urination on the head and face, smacking on the base of the ears, and assault on the body. The victims' testimonies were consistent not only with one another but also with the accounts of other victims of torture in the south of Thailand. On the other hand, the testimonies of the police in the same trial consistently showed an aptitude for deceit and fabrication: an aptitude that at higher ranks was exceeded only by the display of arrogance of men who have committed crimes so many times for which they have escaped responsibility that they are supremely confident, and with good reason, that they will do the same again. The impunity for torture and other gross abuses of human rights that these men enjoy is guaranteed not only by assurances that they will not be held responsible, but also that arrangements exist to enable them to exact revenge upon those persons who have the temerity to complain. It requires both deliberate decisions not to do certain things that should have been done, and to do certain other things that should not have been done. These decisions involve people in all key agencies, and in particular, depend upon the role of the courts as guarantors of failed prosecution where prosecution must fail, and successful prosecution where it must succeed. Impunity for the torturers of Suderueman required, to begin with, the thwarting of any effective investigation of both the abduction and presumed killing of his lawyer, Somchai Neelaphaijit, and the acquittal of the accused in that case. Since the case attracted huge domestic and international interest, to give the appearance of some sort of justice being done, the court reached a compromise ruling in which it acknowledged police involvement and convicted one of the five accused of a minor offence. Impunity then required a process that included the mysterious disappearance of the one convicted policeman, and his subsequent acquittal in an appeal ruling. It also required the persistent and deliberate refusal to take any steps to address seriously the question of "What happened to lawyer Somchai?" Once the case of Somchai was utterly perverted through the machinations of the police and other agencies, the way was opened for action against his family, his former clients and any other witnesses. This action included deliberate failure to protect the family or witnesses effectively, such that one of the torture victims, Abdulloh Abukaree, was also abducted and forcibly disappeared on 11 December 2009. Another is in jail awaiting the outcome of an appeal on a conviction in another case unrelated to that over which the men were tortured and in which Pol. Maj. Gen. Chakthip was, on paper, involved. Finally, it required the use of state resources not to investigate the crimes of the police, but the crime of their victim: that is, the crime of impertinence for making a complaint against the police. Thus, the human rights priorities of the state in Thailand are made patently clear: not to investigate alleged abuses of human rights but to investigate, prosecute and imprison persons who allege such abuses. Not to criminalize torture and imprison torturers, but the criminalize the complaint of torture and imprison the tortured. The message, which comes from the police but is broadcast through the courts as their mouthpiece is in its essence, "Don't try to stop us. All that will happen is that we will destroy your life. What we want to do, we can do." This is a message that people in Thailand already know well. Consequently, the number of complainants of extrajudicial killing, enforced disappearance, torture and other gross abuses of human rights in Thailand remain few, not because the incidence of such abuses is low but because only the bravest persons, or those thrust into the spotlight like Suderueman, speak out. Most of those who do complain never complete the process of bringing a case to court, withdrawing under a combination of threats and offers of money to remain silent. Of those who do, some end up like Suderueman, prosecuted for their victimhood. Others end up in hiding, or dead. The court's ruling against Suderueman is deserving of the strongest condemnation not only because it constitutes a further act of state violence committed upon someone who has already suffered immensely and irrevocably due to the violence of the state, but also because it constitutes a statement of utter contempt for the rights of all victims of abuses at the hands of state authorities in Thailand. Although people there have in recent years made great strides to challenge the culture of impunity and the political system that has for so long enabled it, the case of Suderueman illustrates vividly how much further they have to go. For the time being, at least, all the courts of Thailand have to offer the public for these efforts is contempt for basic human rights. The people of Thailand deserve, and demand, better than this. Several court hearings in the USD 3.2 million defamation case against human rights defender and activist Charles Hector by Asahi kosei have taken place in the last 5 months, which was filed on 14/2/2011 and is now fixed for full trial on 24, 25 and 26 August 2011. The European Union have attending and monitoring the legal proceedings so far. Representatives of the Norwegian, Royal Belgium and Danish embassies in Malaysia have also been present at hearings. 31 MP signs Early Day motion 1800 in UK Parliament on the case of Human Rights Defender Mr. Charles Hector, and Note that workers complaints has not yet been resolved by any authorities despite the fact that the workers did lodge their complains to the Labour Department and the National Human Rights Commissions since February 2011. Another 3 weeks to go for full trail, but Asahi Kosei still refuses to drop the case and none of the companies involved has done the right thing. On 12/2/2011, Charles Hector sent a letter together with the public statement issued by 77 organizations concerns on this case, and still no response from the Japanese government. We are now CALLING FOR GLOBAL WEEK ACTION from August 15-19 2011 for trade unions, migrant associations, Burma support groups , workers /human rights and campaign organizations and justice loving people to seek a meeting with Japanese embassies in your country to raise the concerns and request them to do everything possible to get Asahi Kosei to immediately withdraws the lawsuit against Mr. Charles Hector, and to ensure the immediate reinstatement, with full rights and benefits, to all the affected Burmese workers. 5 workers have not been taken back to work at the Asahi Kosei factory since February. Please find enclosed a proposed letter to be send to the Japanese embassy seeking a meeting. Please do adapt or make changes accordingly. Attached also a Background of alleged violations at Asahi Kosei and retaliatory lawsuit. Do lets us know soonest if you could join the global action and please send us a copy of letter you sent to Japanese embassy, as well as information about the outcome and photos of meeting , would be great if you could media attentions in your country ! Full trial is fixed now for 24, 25 and 26 August and let’s work together again to bring the pressure to Asahi Kosei to drop the case against Human Rights Defender Charles Hector and ensure all affected workers get justice! New Delhi: Minister of Rural Development Jairam Ramash was told forcefully by a delegation from Sangharsh that the issue of land aquistion is political and is one of the most burning issues of the country and that cannot be passed with a political process and discussion in the country. The minister was reminded about the large number of people hitherto displaced by various developmental projects and demanded a white paper on it. The minister was further told that the people displaced by the massive projects in the urban areas are not covered under this Bill and they will left high and dry. The delegation also raised concerns about widening the definition of public purpose, which under the new Bill could easily include private interests as well. They rejected the formation of a committee which would include experts to decide whether a project will benefit the people of the area. It was reinforced by the delegation that only the gram sabha and the basti sabhas who will be affected have the right to decide whether the project will be beneficial or not. The minister was reminded that it is incorrect impression that is being spread is that farmers across are ready to give their land if provided with higher compensation. It was asserted that people do not want to give up their land under any circumstances. The Sangharsh National Action against Land Acquisition Act, 1894 demanding a comprehensive National Development Planning legislation entered the second day with more people from Odisha, Karnataka, Gujarat and Uttar Pradesh joining the dharna at Jantar Mantar, bringing in added vigour and spirit on a rain washed day. Even as the dharna addressed urban issues, energy policy and forests rights, separate delegations held meetings with the Ministers of Environment and Forests, Social Justice and Empowerment and Rural Development. “The Constitution of India is made by the people and for the people, and the government will have to accept the demands of the struggling marginalized people” said Rajinder Sachar, former Chief Justice of the Delhi High Court while expressing solidarity with Sangharsh dharna. Addressing a gathering of thousands of struggling people from across India, Socialist ideologue and leader of movements from Odisha, Prafulla Samanthra, referred to the Supreme Court judgment on POSCO and said “We reject the judgment. Irrespective of what Court says, people will continue their struggles to protect their lives and livelihood till the very end. Repression in a democracy is unacceptable”. He further demanded that agricultural lands should not be handed over to industries or any non-agricultural activities. He said that the gram sabhas must be the primary level of decision making on all issues of development. “We are not against industrialization. We support small and non-polluting industries and those which do not cause displacement,” he added. Movements from Maharashtra, Andhra Pradesh, Gujarat and Haryana rejected the government’s energy policy which is focusing on nuclear energy. They warned the government about the disastrous consequences of nuclear and thermal plants and demanded that instead of exposing the people to such impacts the country should opt for decentralized and renewable energy sources. Dr.Banwarilal Sharma, leader of Azadi Bachao Andolan said, “Gram sabhas should be above the Lok Sabha” and called upon the people to be steadfast in their commitment in their struggle. Fresh energy was infused into the dharna by the joining of Slum Jana Andolan from Karnataka which has been militantly battling for the rights of urban deprived for land rights and dignity in the cities of Karnataka. The dharna was also joined by Tharu Adivasi Mahila Kisan Manch from Lakhimpur Khiri, Uttar Pradesh. While the morning session was devoted to urban and energy issues, the contentious issue of Forest Rights Act (FRA) was discussed and debated in the afternoon session. Prominent among the national leaders attended the dharna includes, Dr. Sandeep Pandey, Dr.Binayak Sen, Chitranjan Singh (INSAF), farmers’ leader Dr.Sunilam, forest workers leader Ashok Choudhary, Akhil Gogoi of KMSS, Assam, Ajit Jha of Samajwadi Jan Parishad, and Swami Agnivesh. Favours Companies, Legitimises Private Acquisitions and Ignores Community Concerns; Movements Demand Democratic, Development Planning Act. 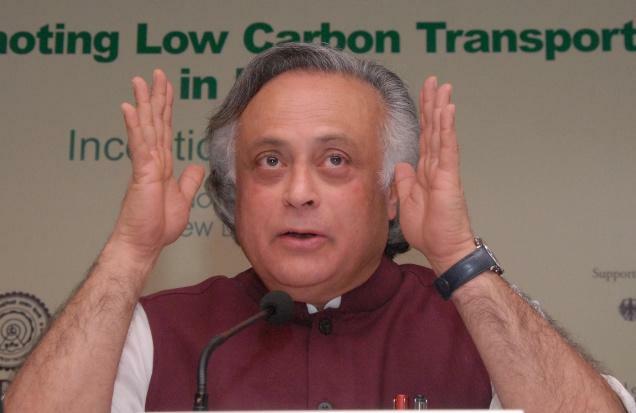 New Delhi, July 30: The much awaited comprehensive draft of the land acquisition, Resettlement and Rehabilitation Bill promised by Union Rural Development Minister Jairam Ramesh was put in public domain for comments yesterday. It is commendable that the Ministry has now agreed to reopen the whole process and focus on the pre-legislative consultations and not introduce such an important legislation in hurry in this Monsoon session of the Parliament. However, the proposed draft is NOT a comprehensive draft but mere combination of the earlier proposed Two Bills and fails to take in account the concerns raised by the millions of project affected people. The Bill focuses on only one concern which is to facilitate land acquisition and serve the land needs of private and public corporations and facilitate urbanization as ‘inevitable’. There is no concerted attempt to fulfill the task of land reforms and protect the land and livelihood rights of the communities across the country. Nor does the Bill realize the gravity of urban displacement and its linkages with the enormous corruption of the land sharks builder mafia. NAPM and many grassroots movements across the country have been struggling to protect the land rights of the farmers, forest dwellers and other nature-based communities and ensure their control over natural resources through the Gram Sabha and Basti / Area Sabhas, deciding the development plans for public purpose in their area. Proposed provision of consent of the 80% project affected people is only required wherever the private entities are involved in the process of acquisition whereas all the acquisitions for the government requires no such consent, keeping intact the ‘eminent domain’ principle of the state. This will mean that the proposed projects like Jaitapur, Fatehabad or dams, thermal power plants, airports etc. to be built by the government will not require any consent of the people. The Bill provides the much needed legitimacy for the acquisitions for the private companies since today only by violating the existing LAA 1894 state governments could acquire land in POSCO, Noida or many other places for the private entities. This Bill is regressive that way, since the definition of public purpose covers almost everything from building educational institutions to airports to mining, where a large number of private companies are involved. These companies are not there for the public purpose but for making profit and it is in their private interest. Housing for any income group and by private entities will mean legitimising the real estate activities in all its forms. The broad definition of public purpose reduces the process of deciding the public purpose by a committee full of bureaucrats to a farce; it will be reduced to a mere rubber-stamp authority. The Bill also does not satisfactorily take into account the decades’ long experience and progressive inputs by the displaced communities on land and livelihood based rehabilitation. The provision that R&R shall be provided only when more than 100 families are displaced is unreasonable. The proposed Bill goes back on the significant debates around the concept of public purpose in last two decades and fails to take in account the provisions mentioned in the Draft Development Policy of NAC – I, Parliamentary Standing Committee on Rural Development recommendations in 2008 and submissions made by many social movements. The land struggles in Orissa, Chattisgarh, Jharkhand, AP, Narmada Valley or even in urban centres like Mumbai and Chennai are not just for fair rehabilitation and appropriate compensation, but more fundamentally for communities’ control over the resources – land, water, forest, minerals – and their right to decide the kind and process of development they need or what constitutes public purpose. 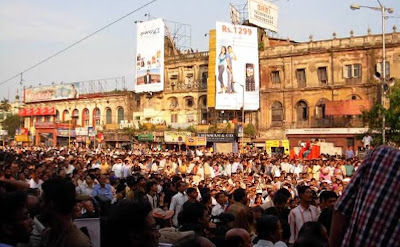 Unless and until the Bill tries to address these concerns and take in account the Constitutional status of gram sabhas, basti sabhas / municipalities under the 73rd and 74th Constitutional Amendments which mandate the formulation of district and metropolitan level development plans for public purpose by them, the Bill itself will serve no real ‘public purpose’. The Bill is high on rhetoric but low on content and is many steps backward in the overall debate over the land conflicts in the country today. It will in no way quell the ongoing conflicts across the country, armed or otherwise; but will surely facilitate acquisitions in the areas like Haryana, UP and other plain areas, promote real estate and make corporations rich, happy and unruly. However, the communities will have to continue their struggle to save their resources from being taken over by the public and private corporations in the name of public corporations. Although the Bill contains some necessary provisions such as “under no circumstances should multi-cropped, irrigated land be acquired”, it does not address the challenge of large scale diversion of agricultural land across the country for non-agricultural purposes and the consequent impact on the nation’s food security and pauperization of communities. INDIA is not NOIDA, the architects of the Bill doesn’t seem to recognize the diverse realities of the country and are only concerned about the nine percent growth, creation of infrastructure and urbanization; extremely unfortunate for a Bill drafted by the Ministry of RURAL DEVLOPMENT which is obsessed with the ambitions of the URBAN DEVELOPMENT. To oppose these draconian provisions being pushed by the government in the name of ‘protecting farmers’ interest’ and legitimizing the acquisitions by the private entities for their profit ventures, NAPM, along with many other social movements of the country from 15 states will be assembling at the Jantar Mantar from August 3rd till 5th under the banner of ‘SANGHARSH’. We continue to demand enactment of a COMPREHENSIVE DEVELOPMENT PLANNING ACT which will protect the land, resource and livelihood rights of the communities and ensure democratic participation of the people in deciding developmental plans for public purpose. According to the recent ruling of the Constitutional Court in relation to the case of Daranee Charnchoengsilpakul, the answer to this question is yes. While further information about the ruling and its implications will unfold over the next few days and weeks, a few preliminary observations are in order. 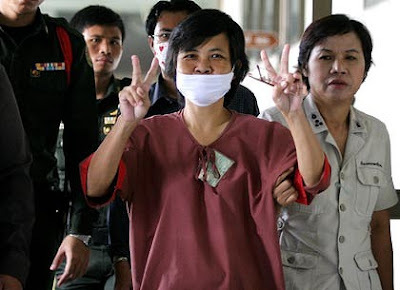 On 9 February 2011, the Appeal Court vacated the original ruling and referred the case of Daranee Charnchoengsilpakul to the Constitutional Court, noting that the original decision by the examining judge in the Court of First Instance to hold her trial in camera may have been unconstitutional. Daranee was accused of violating Article 112 of the Thai Criminal Code [the lèse majesté law], and the Court of First Instance cited concerns of national security as the reason for holding the trial behind closed doors. There are at least two possible interpretations of the logic behind this decision. First, given that the words she was prosecuted for uttering were spoken on Sanam Luang, this concern was hollow but may also refracts the fear and apprehension within the establishment about dissident speech in any form. One might think that dissident speech would be disciplined once inside the courtroom, but apparently the judge in the Court of First Instance worried otherwise. Second, this may have simply been another way for the Court to restrict the rights of a dissident citizen. By citing ‘national security’ , it became difficult, if not impossible, to question. At the time, the most pressing issue was whether or not Daranee would be released while the Constitutional Court conducted its examination. Given that the Appeal Court vacated the ruling against her, this would seem possible, if not de rigueur. Yet her request for bail was denied. As close followers of the case are aware, she faces severe health problems that are unable to be treated within the general prison healthcare system and has continually requested that she be allowed to seek proper medical care. Within this context the denial of bail while the Constitutional Court examined the case is inhumane as well potentially procedurally suspect. Beyond the immediate question of whether or not Daranee would be granted bail, a thorny question of conflict between the Criminal Procedure Code (CPC) and the 2007 Constitution loomed. At that time, I wrote about potential stakes in the decision and argued that while the issue was presented as procedural, the very issue of justice was also on the line. This is even clearer now that the Constitutional Court has issued their examination of the case. What is in question is the relationship between Article 177 of the CPC and Articles 29 and 40 of the 2007 Constitution. “The court has the power to order a secret trial when it is suitable either via the court’s own authority or the request of either party in the case. It must be for the benefit of the peacefulness and order or good morals of the people, or to protect secret state information related to the safety of the country from being known by the people”. “The restriction of rights and liberties of a person as recognized by the Constitution shall not be imposed except by virtue of law specifically enacted for the purpose determined by this Constitution and to the extent of necessity and provided that it shall not affect the essential substances of such rights and liberties”. “shall consist at least of the right to public trial; right to be adequately informed of the facts and to inspect documents, right to present one’s facts, defenses and evidence, right to object to judges, right to be considered by the full bench of judges, and right to be informed of the reasons for a ruling, judgment or order”. The tension between the CPC and the Constitution is unmistakable. What are the meanings of the words “necessity,” “rights,” and “liberties” in this phrase in Article 29: “the extent of necessity and provided that it shall not affect the essential substances of such rights and liberties.” In the examination posted as a PDF file on the website of the Constitutional Court, the Court itself does not shy away from the importance of this case. In fact, as is noted several times in the four-and-half pages of text, the Court has never before examined the constitutionality of Article 177 of the Criminal Procedure Code. “Examination in secret does not mean that either side will not be treated fairly in the judicial process and does not in any way restrict the rights of the defendant in a criminal case. This is because in regards to examination in secret, Article 178 of the Criminal Procedure Code mandates that involved individuals have the right to be in the courtroom, such as the plaintiff and the plaintiff’s lawyer, the defendant and the defendant’s lawyer, the defendant’s guards, witnesses, experts, interpreters, etc. This shows that Article 177 of the Criminal Procedure Code is an article in line with the basic rights for individuals in the justice system put in place by the Constitution even though it has some limiting effects on the rights and freedoms of individuals. But this is a limiting of individual rights and freedoms only to the extent that it is necessary. There are no significant repercussions on rights and freedoms ”. No significant effects on rights or freedoms? By placing the emphasis on Articles 177 and 178 of the CPC, rather than the issue of what constitutes national security, the Constitutional Court seems to suggest that trials held behind closed doors are absolutely fine. While I am relieved that the Court has affirmed the importance of defendants being present during a trial, this is a deeply concerning ruling. It is worth asking what it means when the public is excluded from observing a trial – in a democracy, or a state which claims to be one, is the public not a relevant and involved party to a court case? MAHINDA RAJAPKASA-Is he a murderer, criminal, state terrorist or con-artist? In this election Tami people have to consider one, more of the above qualities of Mahinda Rajapaksa. This election is watched by all nations to see what Tamil people have to say and it is paramount important that the Tamil people in North and East vote against this tyrant and his tyranny. Your vote will decide if economic sanctions will be imposed and he is dragged to the International criminal court. He may promise you the Sun. the Moon and the Stars but he cannot fulfil them. He needs hard currencies to pay off some debts that have come due and are coming due. So he has to show the world that Tamil people are with him. As of last week his foreign reserve is zero, that means he cannot pay foreign suppliers. The Standard Bank, the City Bank and Deutsche Bank are hounding for unpaid monies. We know that you have to make practical choices, but do not fear the moment some thing violent happens the UN and the International community will intervene. Our advice is being careful, vote for the TNA candidate so that they have leverage at the bargaining table. Remember that Mahinda Rajapaksa is at your mercy, like how he was at the mercy of Ranil Wickremesinghe when he was about to be arrested for murders. So he has his weaknesses. He is an insecure and wounded man licking his wounds. He is caught in the snare and only people who can get him off the trap are you and only you. You have made tremendous sacrifices; this is the moment you are the people to make sure that our effort at the international stages continues. Every one is watching, South India is watching, Tamil Diaspora is watching, Hillary Clinton is just 20 kilometres away watching. Therefore fear none, vote with confidence to TNA. Every Tamil can, with the click of the mouse, make a big difference, Please do it, forward to all who you know. Mumbai, July 21: Last month Government of Maharashtra scrapped the two committees setup under chairmanship of Justice (Retd) Hospet Suresh to investigate into the illegalities of SRA projects and Shivalik Ventures Ltd. The scrapping of these Committees was done under the pretext that it was under the directives of High Court but unfortunately Court had given no such order and it was done under the immense pressure from the builder lobby. Since then activists have faced attack from the builders as well and government has failed to take any action against them. It is extremely shameful that government has been bowing constantly under the builder mafia and people are left to fend for themselves. It is unfortunate that a company, Shivalik Ventures Ltd, which has been under the scanner for the Unitech investments and its relations with the 2G scam continues to find such favour and a criminal enquiry into fraud committed in seeking consent of residents remains pending till date as ordered by the High Court. Shivalik continues to be the project developer for the Golibar Societies; it is only because of the stiff resistance of the residents that the project has remained stuck for few months on all counts. It is completely illegal and inhuman that now the administration has slapped notices to the residents of Ganesh Krupa Housing Society in Golibar area on July 19th that they must vacate their houses in next five days or their houses will be demolished. It is also extremely unfortunate that going by the prevailing practice of no demolitions in the Monsoon season administration has given them the notice to vacate. In this rain and season what are they supposed to do ? GBGB-NAPM rejects these notices as illegal and refuses to vacate from homes. The Golibar residents against this inhuman act have no option but to lie infront of the bulldozers when faced with it. We are not leaving our homes unless and until criminal investigations are completed against Shivalik Builders and action taken against them. Any redevelopment plan for the housing societies can’t be done without their rightful consent and the struggle to defend homes will go on as long as we live. We urge everyone to write to Chief Minister of Maharashtra to immediately withdraw these notices and provide justice to the Golibar residents and initiate action against the Shivalik builders as per the High Court order. The Builder mafia in Mumbai is trying all sorts of vicious and vindictive moves to thwart attempts by the urban poor, working classes and the activists and organization working with them to expose the rampant corruption in the entire slum rehabilitation process and the massive loot in the name housing and real estate in Mumbai. The arrest of RTI activist, Mr. Kamlakar Shenoy yesterday evening by the police, just as he came out of the court room, is the latest in the serious of regressive tactics adopted by the Builders to save their faces from public scrutiny. After mounting enormous pressure on the Maharahstra Government to withdraw the GR promulgated at the end of the 9 day fast by Medha Patkar, to independently inquire into 15 SRA related scams, the Builders, especially Shivalik Ventures (SV) is once again after Mr Shenoy, one of the key persons who has investigated Shivalik’s scams. The arrest is clearly a conspiracy to muffle exposure of SV’s misdeeds and illegality in the Ganesh Kripa Housing Society and many other societies. Mr. Shenoy has been arrested in an old case filed against him in 2008, at the behest of the same builder, Mr. Ramakant Jadhav, with unsubstantiated and trumped up chargers under the SC & ST (Prevention of Atrocities) Act, 1989. He was later taken to the Manikpur Police station, Vasai, where Mr. Jahav was also present, obviously to pressurize the police to inflict physical harm on Mr. Shenoy. If Shivalik presumes that such intimidation would weaken Mr. Shenoy, it is only committing another folly, since he has been fighting and also winning many cases against the builders’ lobby over the last 10 years and shall successfully come out of this challenge as well. It is shocking that much-needed criminal action against the Shivalik Builders’, a proven wrong-doer has not been initiated, while the government has arrested Mr. Shenoy, who has blown the lid off Shivalik’s corrupt activities and is persecuting him in this manner. Ghar Bachao Ghar Banao Andolan totally condemns this arrest as illegal and uncalled for and demands that Mr. Shenoy must be immediately released. We would like to warn the State that if it continues to shoot the messenger, instead of offender, it will not quell the messenger, but only increase the number of such whistle-blowers. We would also like to point out that there are hundreds and hundreds of genuine cases of atrocities against dalits and adivasis across Maharashtra, be it by influential casteists or by the land-mafia. It is against such people that the Atrocities Act should actually be used, but seldom is it enforced in such cases. Hundreds of toiling dalits, who also face the brutality and corruption of the builders day in day out stand by Mr. Shenoy and denounce such attempts at abuse of law, to quell people’s voice. Unmindful of these intimidatory tactics, the exposure of and campaign against the rising ‘Builder-Raj’ in Mumbai and across the state shall only intensify and the Government will have to make itself accountable and establish rule of law. The serial bomb blast has send a shock& awe that has hit the financial capital of India, Mumbai, showing an ugly face of Terrorism again. It's a barbaric&dastardly act of terrorism to be condemned at the highest level. Its an evil design to destabilize,divide and disrupt our country & society.But we the people of this great Democratic country resolves to fight this act of terrorism&anti social elements with tolerance and perseverance. MPJ demands this a conspiracy against our country &should be unearth & perpetrators of such heinous crime to be punished and brought to book. We send our heart felt condolences to the Families & Friends of those killed & injured in this act of terror.We from Mumbaikar citizenry are with the families of those killed in this massacre and this very tragic time. We appeal to all our citizens to maintain Peace & work for stability of our society. New Delhi: The fact that Jayanthi Natarajan has been appointed a junior minister like her predecessor underlines that Prime Minister does not accord the priority, environmental issues deserve. Once again the minister has been kept structurally weak so that whenever there is conflict between blind economic growth and ecology, the former is given precedence at the cost of the latter. The Ministry has been designed to be structurally weaker than all the other ministries, which adversely impact the environment and poison our food chain. It is that the Cabinet Committee on Economic Affairs (from which the Environment Ministry draws its mandate) and the Prime Minister are not yet alive to the collapsing ecosystem. 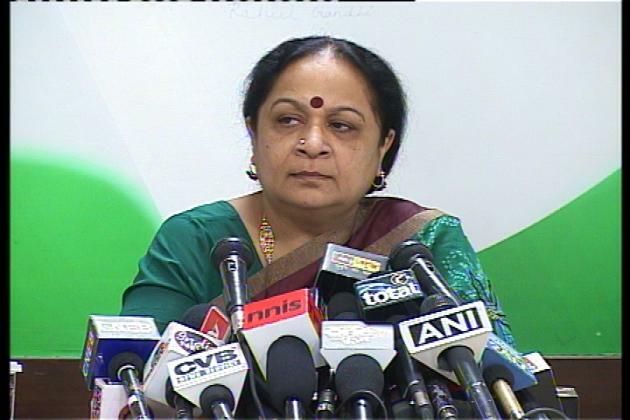 On World Environment Day (June 5th) Jayanthi Natarajan knew that she was going to be the Union Environment Minister. She recollected on that day that in the 1970s the environment activists were looked at patronisingly. Now she wonders about "pesticides are ruining our agriculture". She remembers "environmental safety" in the aftermath of "Chernobyl, Bhopal, now Fukushima" that "induce terror in the world of environment and citizen safety". She wonders about "How do we prevent another Bhopal tragedy and still keep our economy growing?" and "How many use car pools or bicycles?". She calls for everyone to be "environment warriors" but begin from our own homes. While all this reveals that our new Environment Minister is ecologically sensitive but the regressive influence of Cabinet Committee on Economic Affairs will not provide her adequate space to act as it did so in the case of Jairam Ramesh. Natarajan is not unfamiliar with environmental governace issues. She was a member of Committee of both the Houses of Parliament on Environment and Forest during 1992-97. What is sad is that the Prime Minister has failed to realize that the threat to the integrity of the natural systems is a threat to human heath, and such threats have become routine because of myopic industrial agriculture, blind urban development, regressive transport systems and criminal neglect of non-human species. KOSAF was established to assist students’ education in May 7th 2009, a combination of various scholarship funded organizations. KOSAF staff member Jeon Joo-ra said, the foundation come up from Kyungsook Lee's idea, the foundation chairwoman. Since, she had similar difficulty experiences in the past, as her own poor family and financial difficulty background. 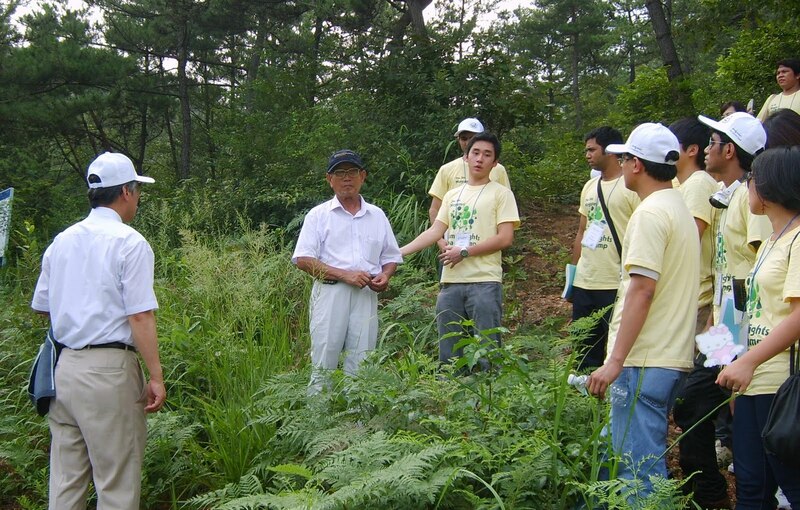 Behind the idea of the foundation is to prevent anyone in Korea from giving up on learning due to financial hardship. The foundation supports low-incomes families with lower interest rates loans. Moreover, KOSAF aims at playing the role of an educational support provider for Korean students, helping and developing their leadership skills, spirit of service, and virtues, which are required by our country and society, stated by Kyungsook Lee. KOSAF is an institute committed to train talented students. The foundation has 3 important programs – (1) Loan, (2) Scholarship and (3) merit students support programs. The Korean government funded the foundation, which is from taxes money, bonds, and donations. The donation fund is largely used for foreign students’ scholarship. In-fact, foreign students’ scholarship program was just started in this year; particularly it’s for Chinese and Vietnamese students. Because of the large amount of donation fund receipted from companies who are working in China and Vietnam, Jeon said. In case of Loan, it targets for Korean students, who family income are lower than minimum of standard. The foundation said, the loan can apply by migrant student as well, but, only who are naturalized as Korean. However, who has permanent resident status (e.g. F 2, F 2-2 visa holder) is still not eligible for loan and it still remains crucial issues since they are also resident here and similarly face difficulty with their counterpart Korean student. According to KOSAF report, in 2009, scholarship amount more than 350,000 millions KRW was given to almost 200,000 students and student loan amount 2,521,926 millions KRW was given to 675,900 students. Both undergraduate and graduate Korean students can apply the scholarship and loan in the beginning of every year at KOSAF. But, KOSAF is mainly for Korean students and very little and almost none for migrant and foreign students. It is still a challenge and needs to reconsider for migrant students’ financial need. 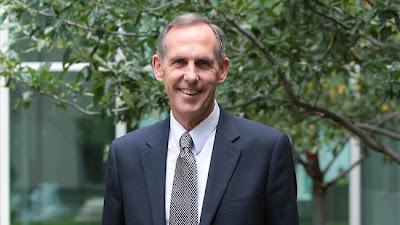 Senator Bob Brown put the letter of motion on Sri Lanka to the vote in the Australian Senate today. This motion on Sri Lanka passed unanimously, which is highly unusual for Foreign Affairs motions. 1) Notes that "Srilanka's killing fields" aired on Four corners on 4 July, 2011 contained further shocking images of alleged war crimes committed during the civil conflict in the Srilanaka. 2) Notes that British Prime Minister David Cameron said in response to the program on 15 June that, "the Srilanka government does need this to be investigated and UN need this to be investigated and we need to make sure we get to the bottom of what happened and that lesson are learned." 3) Calls for allegations of war crimes committed by the government of Srilanka and the LTTE to be investigated and verified. 4) Urges the Australian government to press the government of Srilanka to take steps for meaningful accountability in Srilanka for alleged violations of International human rights and humanitarian law. 5) Calls on the UN Human Rights Council to review its 2009 resolution on Srilanka. 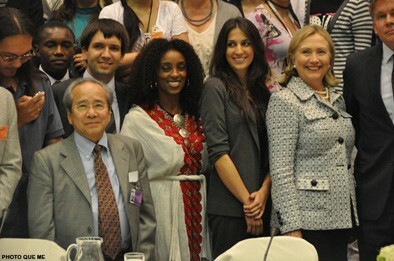 Vo Van Ai (L) and civil society leaders at the Strategic Dialogue with Civil Society hosted by US Secretary of State Hillary Clinton (2nd R). VILNIUS, 1st July 2011 (VIETNAM COMMITTEE) - Governmental delegations from 100 democratic countries and over 120 civil society leaders and democracy activists from all over the world met together in Vilnius for the 6th Ministerial Meeting of the Community of Democracies on 1st July 2011 to discuss strategies for strengthening democracy support worldwide. The Ministerial meeting was preceded by a Civil Society Forum, hosted by the Nongovernmental International Steering Committee of the Community of Democracies, and a series of High Level Forums including the Youth Forum, the Parliamentary Forum, the Corporate Democracy Forum and Women Enhancing Democracy: Best Practices. The Community of Democracies was founded in Warsaw in 2000. Ministerial meetings have been held by its rotating chairmanships in South Korea, Chile, Mali, Lisbon and Lithuania (the current chair of the Community of Democracies). The next meeting will be held in Mongolia. Mr. Vo Van Ai, President of Que Me: Action for Democracy in Vietnam and also member of the Nongovernmental International Steering Committee of the Community of Democracies*, was invited to take part in this “Strategic Dialogue with Civil Society” hosted by Secretary Clinton and Michael Posner, US Assistant Secretary of State for Democracy, Human Rights and Labour on the margins of the Ministerial Meeting, along with civil society representatives from Asia, Africa, the Americas and Europe. * The Nongovernmental International Steering Committee of the Community of Democracies is a global network of civil society leaders committed to advancing democracy and human rights throughout the Community of Democracies. It is the voice of civil society in the framework of the Community of Democracies, advising governments on the actions needed to enable civil society tp work freely to strengthen democracy, rule of law and protection for fundamental rights described in the Warsaw Declaration.